I finally got round to scrapbooking a few photos from our New York trip last month. 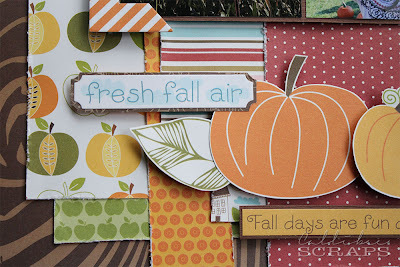 My favourites were the ones from the pumpkin patch; not least because it was perfect weather that day. Looking at these photos, I can't believe that a week later, a fickle lady named Sandy would strike through this area and turn everything upside down. I heard that people are still staying in hotels three weeks later as their homes are inhabitable. My prayers go out to those still suffering from this and hope that they can get back into their homes soon. 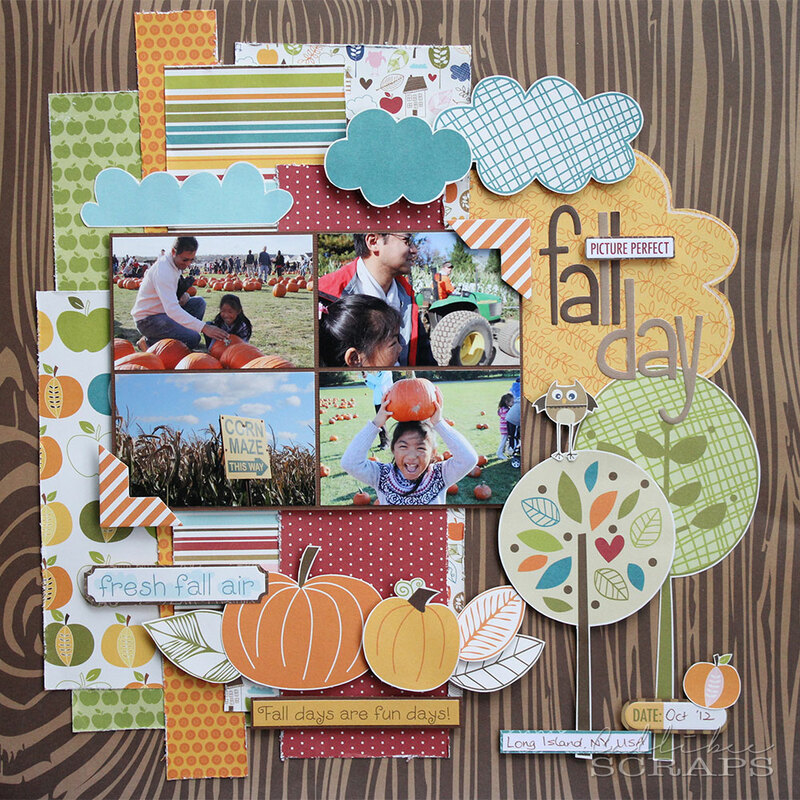 This layout is also based on the November sketch challenge from My Creative Sketchbook. I flipped the sketch to the left and created an "outdoor" scene with the trees and clouds. I also grouped four photos together instead of use just the one photo. 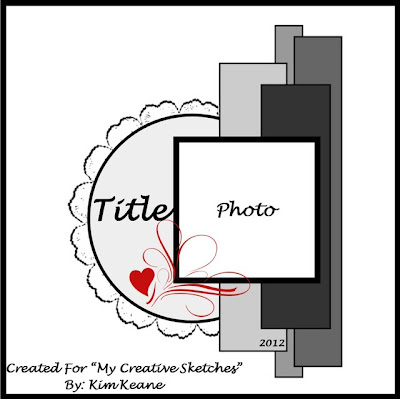 The orange cloud acts as the circle element in the sketch. I pop-dotted many of the elements to give it more dimension. Wow Grace, you really made this sketch your own. Awesome take on it. 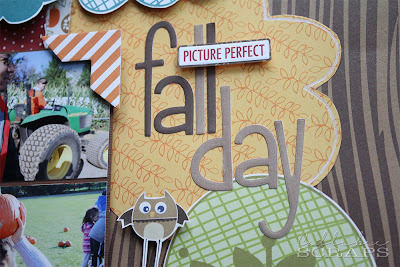 This is such a fun page, lots of gorgeous colours to compliment the photos. Thanks for visiting my blog and leaving lovely comments. 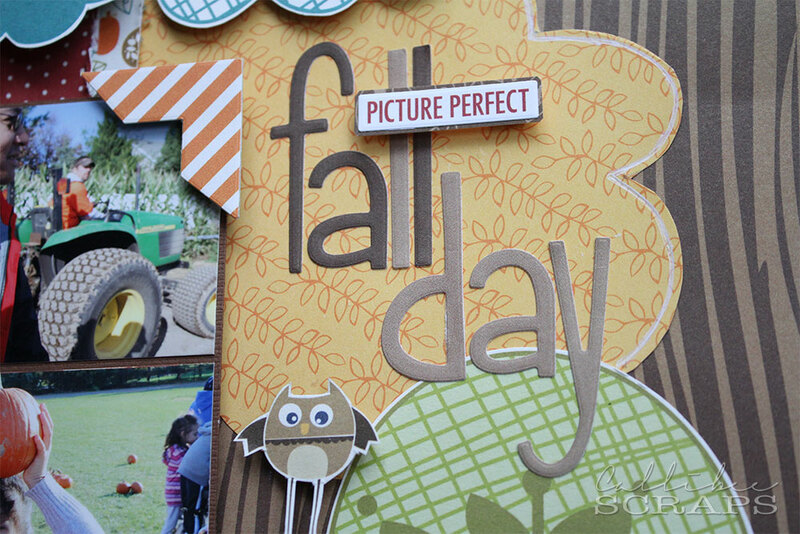 Love all the layering and how you did the circle! Thanks for playing along with MCS! 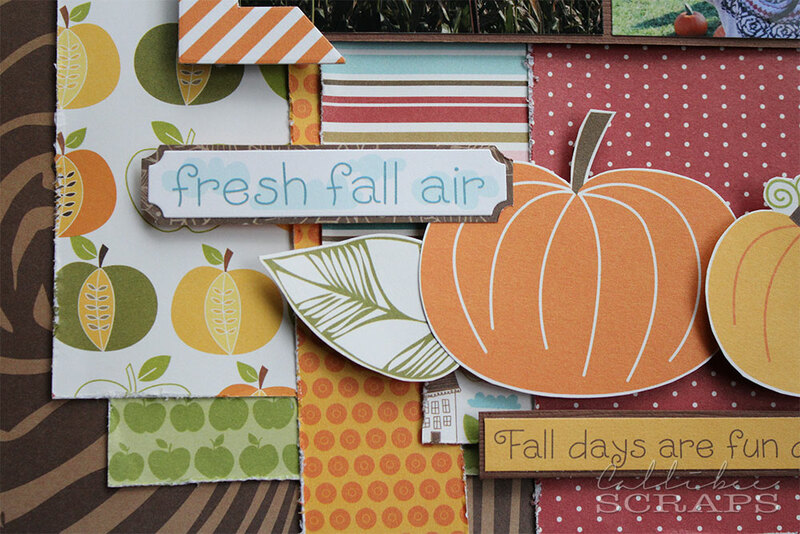 Love all the fall elements on your layout. The photos are adorable! Thanks for playing along with us at MCS! This is AWESOME!!! 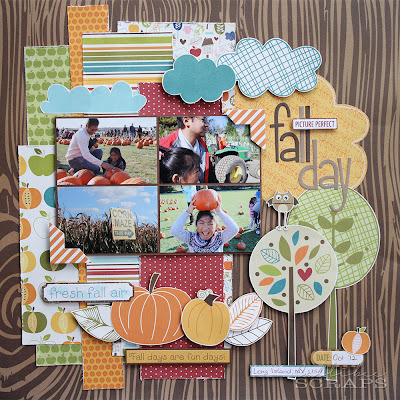 I love all the layers, and the fact that you used 4 photos!! Thank you for taking time to join in the fun at My Creative Sketches!